Welcome to the Forx Builders Association! The Forx Builders Association is a non-profit organization comprised of professional Builders, Tradesmen and Associated members representing the building industry. Its purpose is to promote, support and advocate for the building industry and its members. Click here to see a complete list of our members! Why become a Member of Forx Builders? Coming soon! 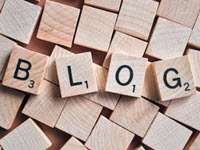 Look for our new blog, showcasing articles about the builders industry. Watch for updates here. This member spotlight area will spotlight a different Forx Builders Association member. Watch for our first member spotlight in the coming weeks!